We get the picture: each detail of the Chanel brand was inspired by one of the major events in the life of Coco, and tweed is no exception. This trans-Channel fabric came from the man she shared her life with: the Duke of Westminster. The richest man in England, with a British elegance to match that would woo her for six whole years. The relationship allowed Gabrielle to discover the English countryside and all its quirks, including tweed. 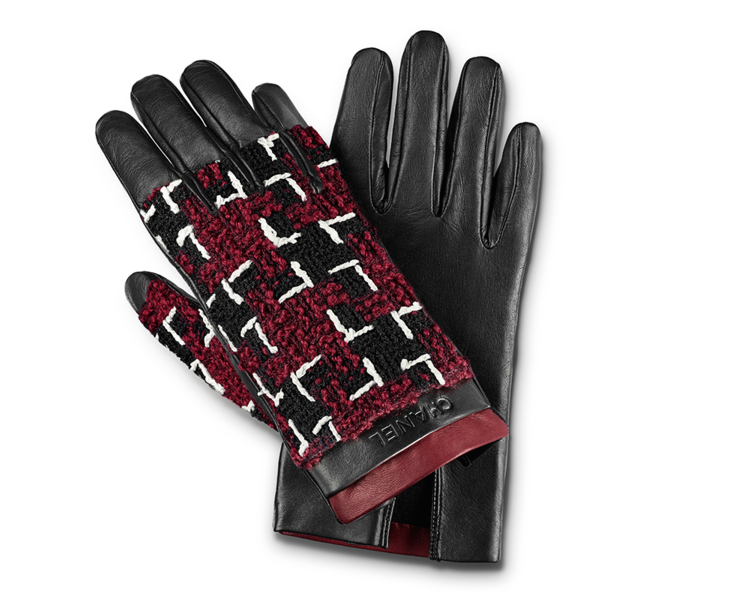 Usually worn by men in winter, appreciated for its resistance, it was an integral part of her lover’s wardrobe. Famous for taking as much from the men’s wardrobe as possible to bequeath it to women, Gabrielle Chanel struck once again. She repurposed the wardrobe of the Duke and his compatriots to feminize it as much as possible, establishing this ever so British fabric as one of the codes of the most Parisian label there ever was. Chanel presented tweed in her own special way in 1954, years after the end of her relationship with the Duke of Westminster. 1954 marked the reopening of the house on the rue Cambon, and just for the occasion, she came out swinging. Tweed took the shape of a small jacket with golden buttons that is still part of the brand’s reputation today. But Chanel’s tweed wasn’t English tweed; it was more supple, less faded, more feminine, and definitely freer. After all, freedom of movement for women was always the effect sought by the couturier, and she kept her promise. Americans were the pioneers, the first to adopt tweed à la Chanel. The French followed them, and the rest of the world with them. An infatuation for tweed has continued ever since, whether worn on a jacket, a skirt, or a full suit. Chanel never abandoned it and continues to reinvent it each season. While the most emblematic tweed remains black and white, today it’s decked out in pink, brown, blue, and transforms upon contact with other colors throughout the seasons without ever losing its true nature, especially when it tries its hand at leather goods. Karl Lagerfeld has been able to give this fabric, traditionally considered stuffy and rather bougie, a seductive, trendy, and totally contemporary side without losing anything in the way of elegance, such as in the Haute Couture recent show. Chanel tweed is something to be inherited, something to be preciously, even jealously, kept. In short, it’s something to be handed down through the ages, since it’s always a safe bet to go with tweed. Indeed, the Chanel Tweed is still cherished by supermodels and fashion icons such as Gigi Hadid and Kendall Jenner. 1924: Coco Chanel borrows sportswear from her lover, the Duke of Westminster, and commissions a Scottish factory to make her iconic tweed fabrics. This is the beginning of the first Chanel tweed dresses. 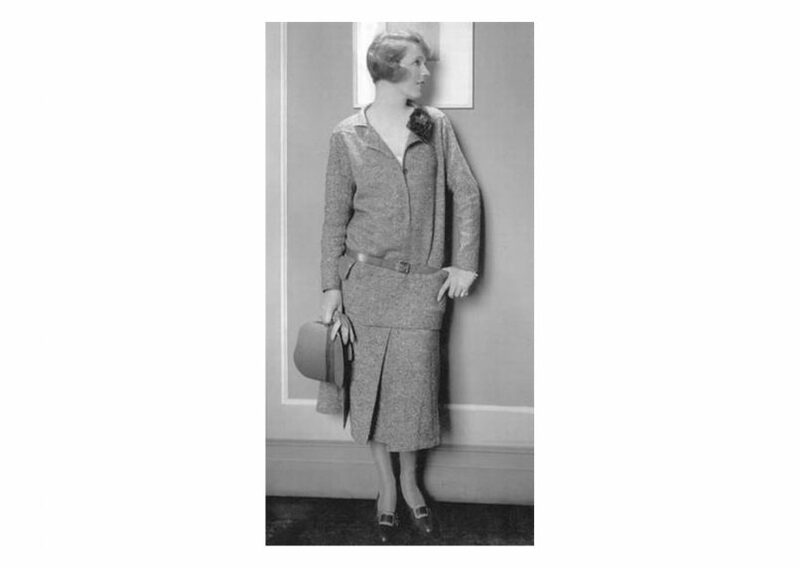 The 1930s: Coco Chanel began mixing its classic tweed fabrics with wool, silk, cotton and even cellophane. 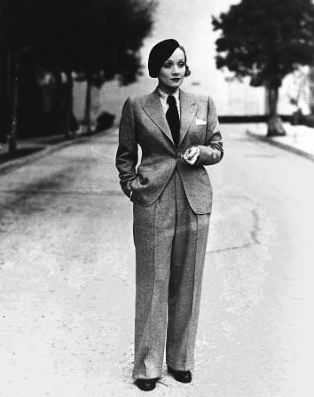 Marlene Dietrich is one of her clients. 1934: The fashion of tweed spreads like fire, when a magazine shows the image of the actress Ina Claire with a Chanel dress in brown tweed. 1954: In the Austrian hotel Baron Pantz, Coco notices a Tyrolean jacket with four pockets and braided ornaments, worn by a staff member. It’s a masculine dress that she will transform into a feminine dress with tweed: it’s the birth of the legendary Chanel tweed jacket. 1955: A braided version of the tweed Chanel jacket presented during the previous season is included in the new collection. 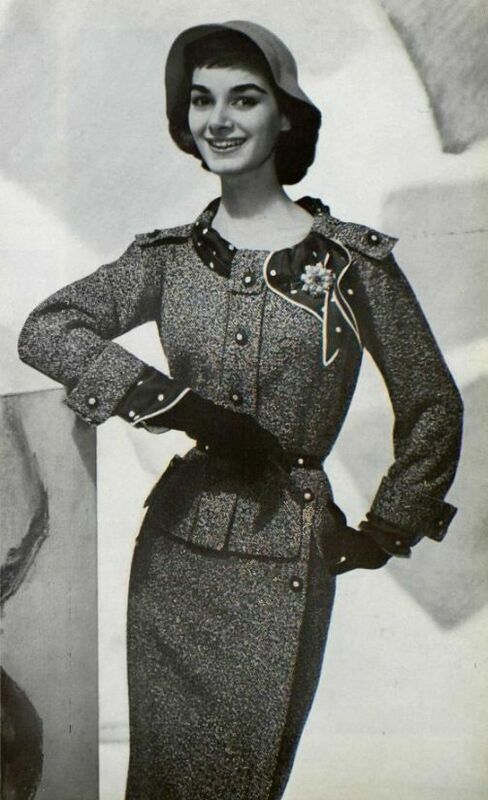 1962: Brigitte Bardot is one of the first users of the new variant of the Chanel tweed jacket. 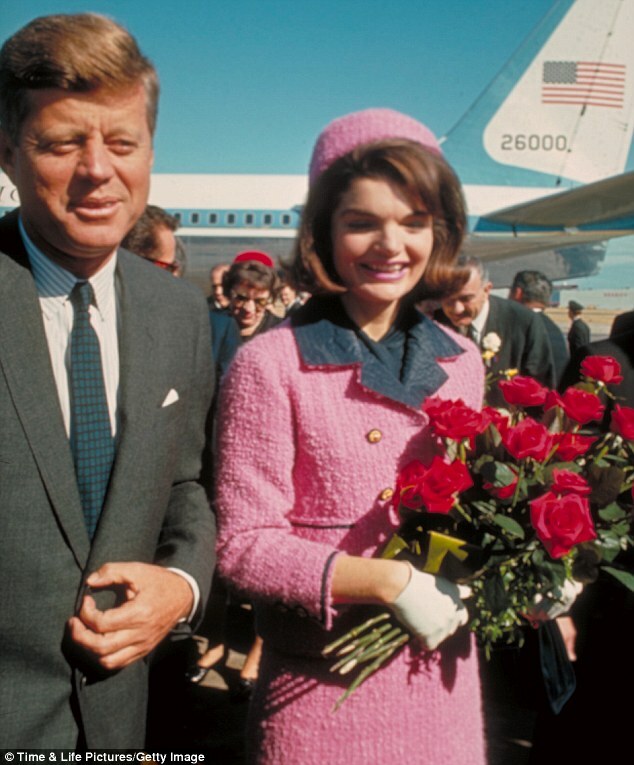 1963: Jackie Kennedy , fashion icon, is one of the greatest admirers of the Chanel jacket in tweed. 1983 – Today: Karl Lagerfeld will rehabilitate and reinvent tweed jackets and dresses by mixing them with new trends . 1997: Lady Diana falls in love with the tweed jacket presented in the Fall/Winter collection. The princess will become a perfect ambassador for this dress. The 2000s : Since the world of Chanel is expanding, tweed also penetrates other categories of products such as shoes, eyewear (2015 campaign), accessories, bags, watchmaking and cosmetics. 2007: Keira Knightley is the new face of Miss Chanel. Jackets and dresses in tweed, for her, become mandatory. 2012: The Arts & Crafts collection Paris-Edinburgh is a tribute to Scotland, which Chanel had discovered thanks to the Duke of Westminster and inspired by his creations in tweed. 2013: Karl Lagerfeld photographed a weightless Autumn/Winter 2013/14 campaign for which three models were called to slip into iconic tweed pieces. 2014: The evocation of the Chanel identity is constant, and the tweed for the Haute Couture Spring/Summer 2014 collection evokes the pearls of Mademoiselle Chanel with the pearly reflections of the organza. 2015: The iconic 2015 Spring/Summer collection is one of the best Chanel tweed celebrations. 2016: The tweed Chanel also enters the field of Haute Horlogerie: Versions men’s and women’s watch Boy-friend were born. March 2016: Tweed mixes heritage and modernity in the Fall/Winter 2017 collection, mixing total pink look, checks, houndstooth, heather and punctuation of lurex. April 2016: Karl Lagerfeld borrows his spirituality and nature celebration from Japan for the couture collection 2016 to reinterpret tweed. July 2017: for the Autumn/Winter 2017/18 collection, the models parade in suits designed in tweed, even on the hat of Mademoiselle.